FROM SOUTH: From SR-14, take the Rosamond Blvd exit heading East. Once through the gate, continue to Lancaster Blvd. Turn right, go 6.1 miles and turn right onto a small dirt road. There is a sign pointing to the "Branch Memorial Park". 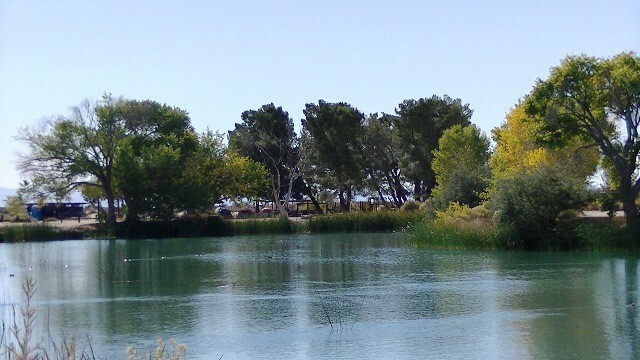 Campground is located a short distance on your right. 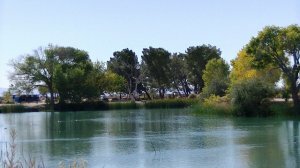 ---- FROM NORTH, WEST, or EAST: From SR-58, take the Rosamond Blvd exit heading South. When approaching the base gate, stay in the far right lane (marked for trucks), even if there is a cone in the road. They will move the cone for you. The other lanes are too narrow for a full size motor home. Once through the gate, continue to Lancaster Blvd. Turn right, go about 10 miles and turn right again onto a small dirt road. There is a sign pointing to the "Branch Memorial Park". 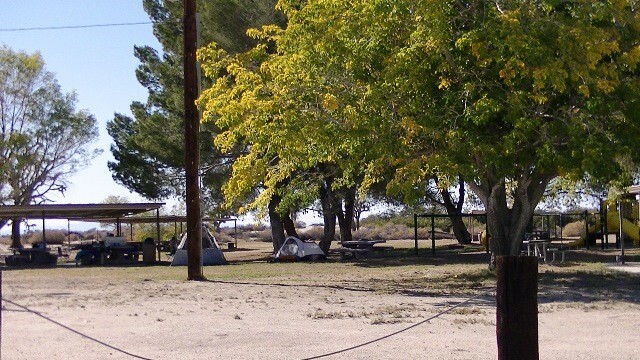 Campground is located a short distance on your right. ---- ALL: Check-in is at the Outdoor Recreation Office, Bldg. 7211. Not accepted for individual camping. 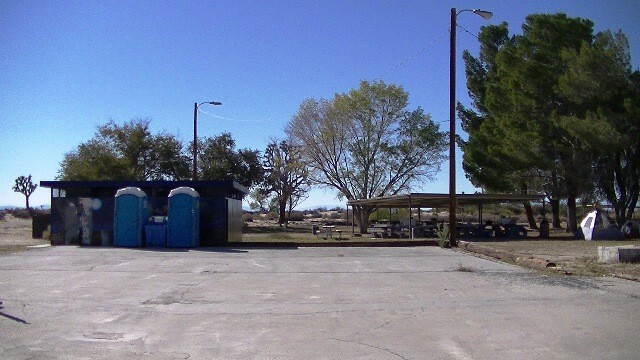 Reservations are required for groups to camp and use the pavilion area. None at the campground. Free WiFi is available at the BX food court. Pets allowed with the usual leash and clean-up rules. Tent camping only - RV's not allowed. Must check-in with Outdoor Recreation before camping. No drinking water at the campground. Bring plenty of water. No swimming in the pond. 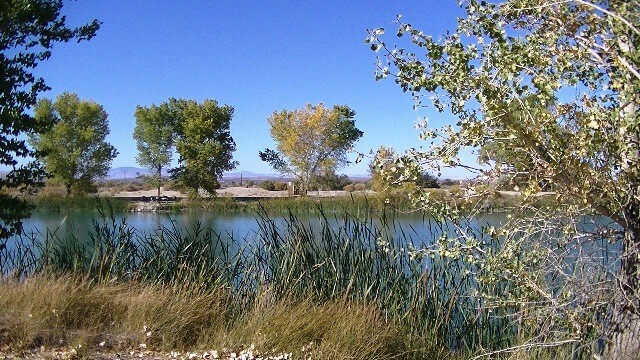 A California and on-base fishing licenses are required to fish (available at Outdoor Rec). 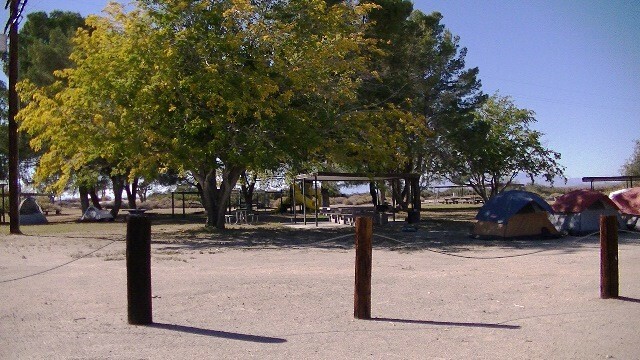 The camp sites are not defined. 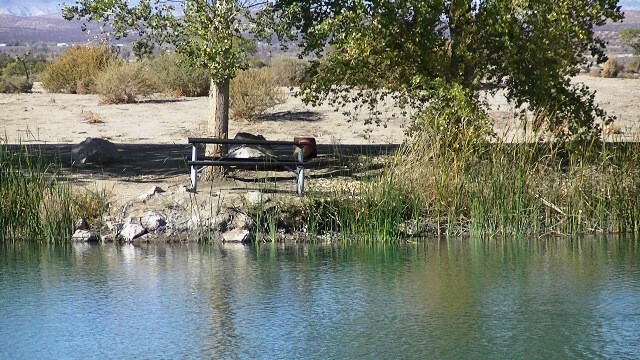 Camping is anywhere you like around the pond. 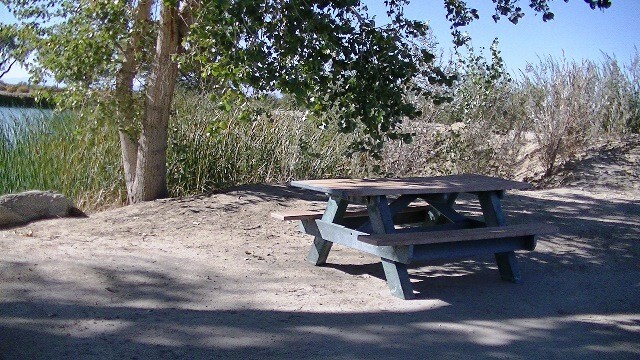 There are a few picnic tables available. Camping in the pavilion area is only for groups with a reservation. Firearms not allowed in the campground. 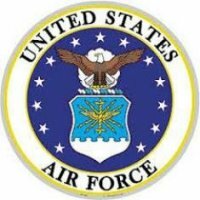 Located at Edwards Air Force Base. Not a FamCamp but one does exist a few miles away from this location. 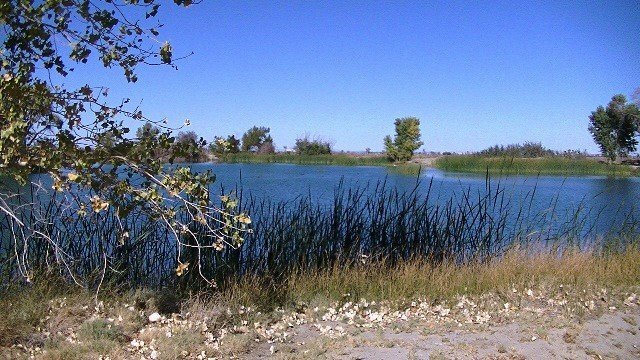 Beautiful pond and quiet primitive camping.